There is a buzz in the air of the UFC Bantamweight division. This comes after some not-so-good news from TJ Dillashaw. Following the decision from Dillashaw to vacate his belt, all the top contenders are chomping at the bit for a chance to fight for the belt. The general consensus is that the rightful contender to Dillashaw would have been Marlon Moraes. 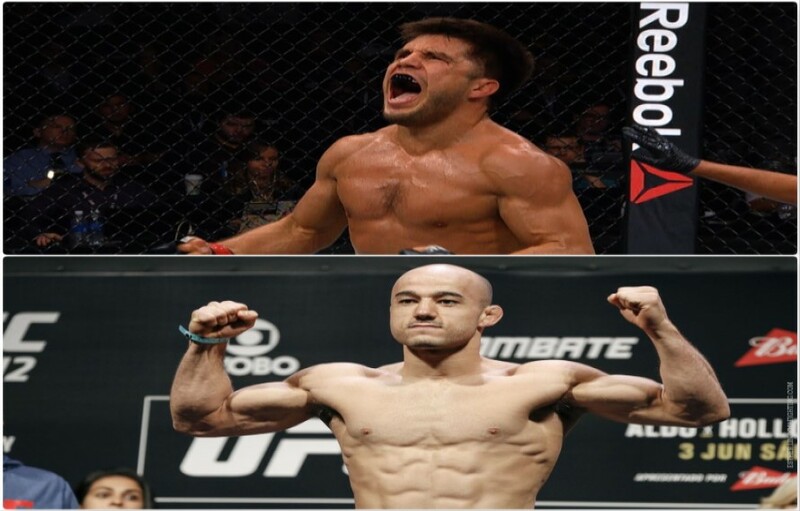 However, the question then becomes; who does Moraes face for the belt? Several names have been thrown around, ranging from Aljamain Sterling, to Pedro Munhoz. However, the one that sticks out the most is UFC Flyweight Champion Henry Cejudo. Cejudo is coming off a 32-second knockout win over Dillashaw, in a Champ vs Champ bout. There was talk of a rematch happening between the two, at TJ’s weight of 135lbs. This prompted a response from Cejudo, who brought up his own Olympic achievements, along with mockingly bringing up Moraes’ World Series of Fighting Championship. Moraes was quick to respond, reminding him to “stay humble,” followed by a jab at Cejudo’s attempts to get with WWE star Nikki Bella. Although it would potentially hold up two divisions, and does not quite make sense, it looks like this bout could be coming to an octagon near you soon.